In Hong Kong, the piped Town Gas production is delivered from two production plants in Tai Po and Ma Tau Kok. The Tai Po Plant, is capable of supplying a maximum of 9.6 million standard cubic meters of town gas per day. 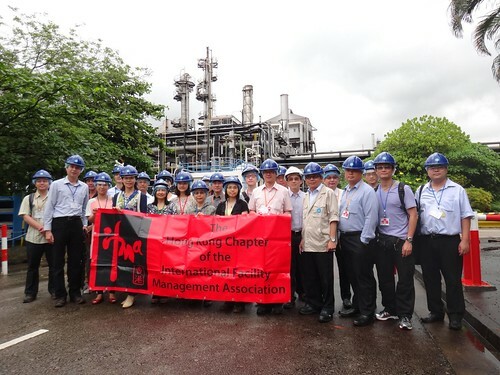 The pant visit to Tai Po provided a good opportunity for IFMA members to understand and experience the actual production process, operation and facility management of the utility at first hand. Thanks go to Mr. Geoffery Mak, the Plant Section Engineer, who introduced the process of the production of Towngas - the “Catalytic Rich Gas (CRG) Process” and “Production Process from Natural Gas and Naphtha”. His detailed and interesting presentation let our members understand more about the whole process and the advanced technical knowhow used. During the sharing session with Towngas operation team, our members raised many technical questions, especially on the operational information of the production plant. The most interesting part was the opportunity to visit and experience the actual environment of the plant, its operation and facilities. This visit allowed us not only to know more about the hardware operation of Towngas, but also the key successful factors from the seamless communications and collaboration amongst the team that contributes to work safety and efficiency employed on a daily basis. To maintain a reliable energy supply and cleaner environment for Hong Kong is one of the essential elements of their mission. For those who were not able to join this visit, please go to our web site to see more photos highlights. Share our experience this time via internet, join IFMA event to experience yourself next time.